We’re thrilled to announce that we will be releasing Clockwork Empires on Steam Early Access on August 15th for $29.99! The “Earliest Access” process has been extremely successful, and we couldn’t have done it without all of those fine players who have helped us out by participating. 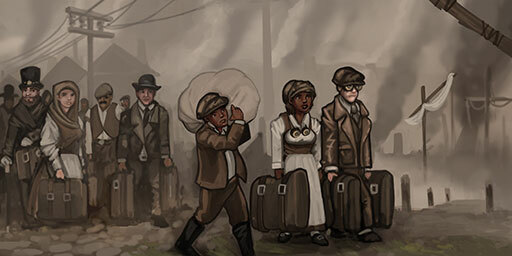 People are sending us horrifying/exciting bug reports every day and are making useful design suggestions; in short, it’s everything we wanted to get out of our “Earliest Access” and as a result of these weeks of intensive effort by both players and our development team, we will be moving Clockwork Empires into the larger spotlight with a much improved, more polished experience. Thank you, Earliest Access players – we couldn’t have done it without you! And with that said, there is going to be lots to do in the next two weeks. The last two weeks have been crazy. It’s a weird experience bringing a project three years in the making to a state where random people start reading your scripting comments. It’s been incredibly rewarding to see people having such a good time and being so enthusiastic about providing feedback. While we haven’t responded to everything, we’re doing out best and we’ve definitely been reading everything anyone says, and it has been really helpful in deciding how to prioritize developments appropriately. 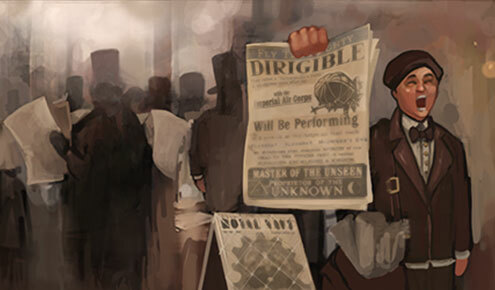 Our perspective is so close to the game that although we have a Giant List, we do not know as well as a new player how the game experience will be impacted by one feature versus another — hearing about what is unclear to a new player upon first launching the game is actually a terrifically helpful piece of feedback. The Earliest Access process is going phenomenally well, and we couldn’t have done it without everyone who wanted to be a part of it. So again, all of us here at Gaslamp Games would like to thank you. We’ve filed almost 250 bug reports in the last two weeks and resolved almost 150 of those. Bugs have ranged from dead characters coming back to life to have conversations about communism (this keeps happening), to a plethora of invisible buildings and nasty, unpleasant crashes (which we are slowly but surely stamping out). There’s also a small issue where colonists only sleep once in their lives (but this might just be Nicholas). We have also had a lot of rather usual, but less player-facing bugs fixed this week that involve (exciting!) memory management and serialization. We’ve also resolved some issues with hardware that we weren’t able to test without your help: some videocards have issues with terrain appearing pitch-black (as it does) and these issues have been resolved. We are still working on Intel chipset support, specifically related to the dire Intel HD4000. There’s still some other really Fun stuff going on with the Intel chipsets that we want to support, specifically related to laptop manufacturers not allowing people to update to the latest drivers, which we need. We’re hard at work on it though; thanks for letting us know! We’re halfway through Earliest Access now and we’ve got two weeks to go and we’re going to make them count. Eager players line up to “Join The Colonies”. vaguely improved and massively cleaned up harvestable Nature objects (oreNode, tree, forageSource, and clearable) – still job assignment issues w/ stumps & new saplings though. Internal rewrite of stockpile code: stockpiles are now considered used/not used based on if they are empty or not, and stockpiles should no longer jam up with half-empty squares. Houses can now be renovated. Wow i disappear from the internet for a while and you are already releasing it? where can i send you the mailing address for the goggles? I can’t wait for early access, when you guys can add features beyond basic survival. Looking forward to the day I can set up a complex(automated?) infrastructure. An Alpha Centauri reference in the tags? I love you guys. This line puzzled me for a few seconds until I realized it referred to colonists’ memories and had nothing to do with memory management. Well, I assume it doesn’t. Or you guys are using system calls I’ve never heard of before. Wait, the Necronomicon isn’t a C++ reference manual? Baumgart Knows! Seize him! One more entry in the Atrocity Archives! I’ve been looking forward to this game for a long time and am really excited by what you guys have put out so far. Take your time between now and the real release…think of how long it’s taken Dwarf Fortress to reach the state it’s in. Can’t wait to unleash procedurally generated horrors unparalleled on my poor civilians! Calendar marked. Is this going to be the date for the Mac Early Access release, as well? I can’t imagine trying to make a plank from lumber with an axe. Thanks for the update. So far my experience with rev28 has been pretty good. I was wondering what was in it, thanks for sharing it here. And lo, the code was rent asunder as fabric caught by whirring gears, and out from the wound did pour writhing scrip terrors, their numbers beyond counting, and the coders did wail, and gnash their teeth, and were devoured! I can’t help but remarking, despite being late to the party, how much the ship masts look more like Crucifixion Devices. I am both amused and unsettled. I love the game! and the earliest access release is just wonderful, to my partners surprise I stumbled into bed around 03.00 this morning with red eyes after building my small little community, I just wish I could save my game, I’ve been reading about your progress and hard work, keep it up guys, can’t wait for the early access release, FANTASTIC WORK GUYS.